Identify a website of a library or information agency you are familiar with (as either an employee or user) that is utilising one or more Web 2.0 technologies to provide information services and/or learning support. 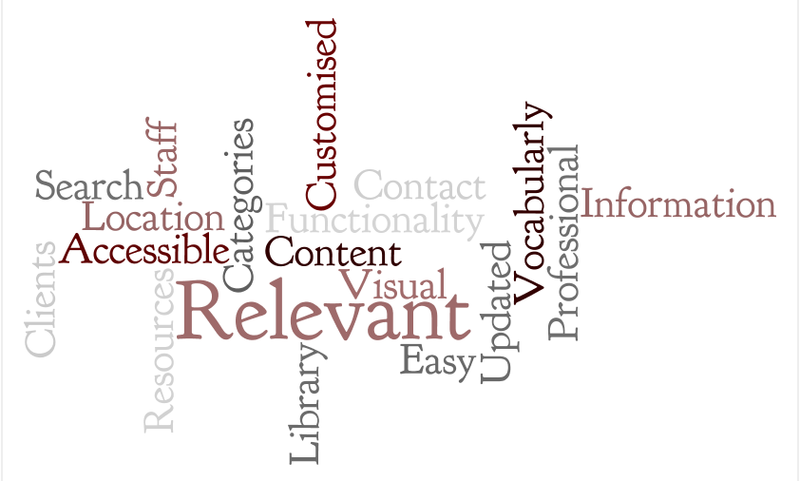 evaluate the effectiveness of the selected library website based on your set of criteria, and identify aspects of this website that could be improved using Web 2.0 technologies. Write up your findings as a post (of no more than 400 words in your OLJ). Vocabularly is suitable for expected audience. (Fichte & Wisniewski, 2010)(Jasek, 2007). Website provides access to customized sections for different groups of patrons (Mathews, 2009). Visual clues to site navigation is obvious making is easy to locate resources (Mathews, 2009). A variety of options are provided for navigating through the site to assist users who have a range of technology aptitude (Jasek, 2007) (Mathews, 2009). Library location and contact information for library staff is easy to locate. Help is available on site (Jasek, 2007) (Mathews, 2009). A search box on every page assists in locating information reducing number of clicks required (Mathews, 2009) (Crowley et al., as cited in Jasek, 2007). Resources available are organised in categories for patrons to easily locate (Jasek, 2007). Accessibility for visually impaired or a user with a disability is provided (Jasek, 2007). Site regularly updates events, new materials acquired, technology and services available (Mathews, 2009). Users are given opportunities to provide feedback to improve site functionality (Lazaris, 2009) (Mathews, 2009). Website presents a professional image suited to main client base. No scrolling or flashing text, bright colours, or crowded pages, unless aimed at children (Jasek, 2007) (Lazaris, 2009). The home page provides a navigation bar with each tab half obscured until clicked to expand. At the bottom of the screen a collection of tabs rotate in a circular motion some of which are replications of the ones at the top. It is difficult to know where to click on first with the many options on the page. This initial introduction to the site is not welcoming or easy to follow. The home page has too many moveable items and the layout does not use the space effectively. The site is trying to be groovy with all the moving graphics however it lacks functionality and is frustrating to navigate. Numerous clicks are required to find simple items such as the catalogue or contact and location information of the library. This would alienate potential customers and reduce the number of people who may utilize the site. The ‘myLibrary’ tab creates another page with small number tabs. It takes time to move through the screens and the limited information provided could have been placed on one screen in a block pattern and viewed all at the same time. There are links to blogs created by a television website with subjects ranging from sport to news. The site would benefit from creating blogs customised to their demographic. The library Facebook page is regularly updated. Photos and posters accompany information about community and library events, new acquisitions, and activities in the library. The Facebook page is vibrant and provides evidence of interaction with visitors. The library also has a Twitter account that is regularly added to. Both of these Web 2.0 platforms are being used effectively to communicate and share information and to create content in collaboration with the community. Fichter, D. & Wisniewski, J. (2010). Practical website improvement face-off. Online, 34(2), 55-57.